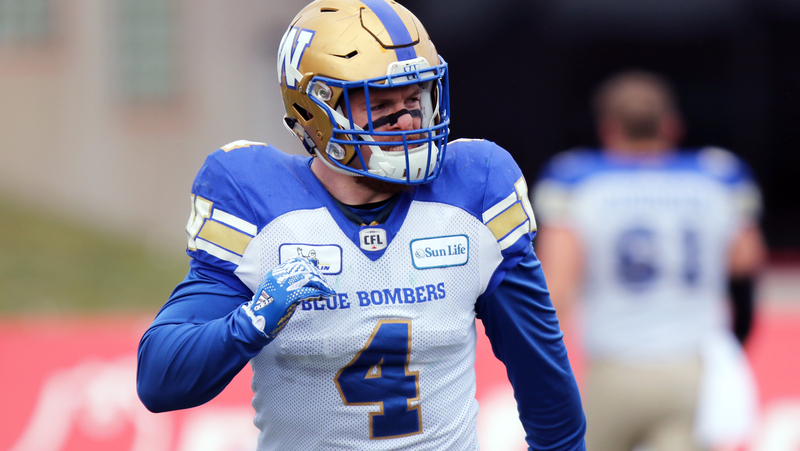 WINNIPEG — The Winnipeg Blue Bombers have signed linebacker Adam Bighill to a three-year contract extension, the team announced Tuesday. Bighill was due to become a free agent on Feb. 12. In his first season with the Bombers, Bighill had one of the best seasons of his career, claiming the league’s Most Outstanding Defensive Player recognition for the second time in his career (2015). He recorded 105 tackles while adding four sacks, four tackles for loss, a fumble recovery, two interceptions (one returned for a touchdown), and a league-leading four forced fumbles. His 127 defensive plays were the third-most in the league last season. Prior to joining Winnipeg at the onset of training camp last season, Bighill had spent the previous season in the NFL with the New Orleans Saints. He played six seasons with the BC Lions (2011-2016) prior to joining New Orleans following the 2016 season. Bighill is a five-time CFL All-Star and six-time Western Division All-Star. Over his six CFL seasons, the linebacker has recorded a total of 614 defensive tackles, 37 sacks, 10 interceptions, two defensive touchdowns and 12 forced fumbles. He has recorded four 100-plus tackle seasons (including 105 last season), and has never missed the playoffs as a member of a CFL club. Bighill has played 117 regular season games, starting in 103. Bighill will also be joining Wellington-Altus Private Wealth in the off-season as an Investment Advisor.